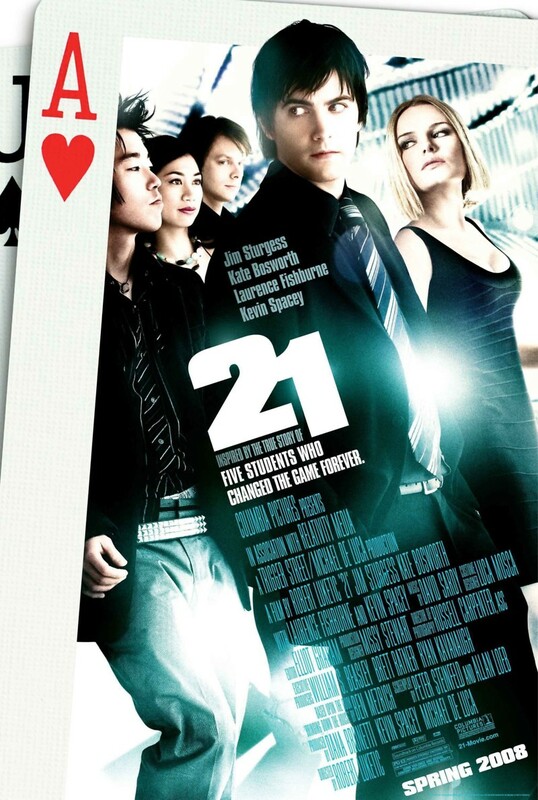 Based on the true story of card-counting MIT students, 21 follows Ben Campbell, a young and incredibly gifted math major who finds himself in desperate need of money when he's accepted at Harvard but has no way to pay for it. One of his professors, Micky Rosa, sees his talent with numbers and invites him to join an exclusive and dubiously legal blackjack team made up of himself and fellow students. Over the next few months, Ben is thrown into the wild world of Vegas gambling, each win taking him to new highs and making him forget a little more about his original goal. But reality will come crashing back when other students become jealous of his rising star on the team. Micky Rosa has a past he isn't telling anyone, either. Between cops, casino frauds and his own lack of self-control, Ben's ticket to Harvard just may become his ticket to prison.